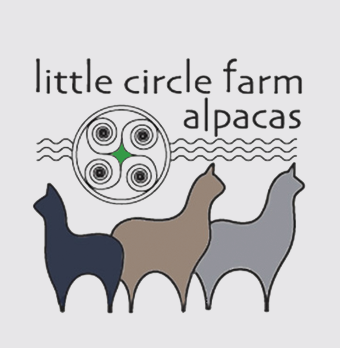 ​​Welcome to little circle farm alpacas, located in Penrose, Colorado! 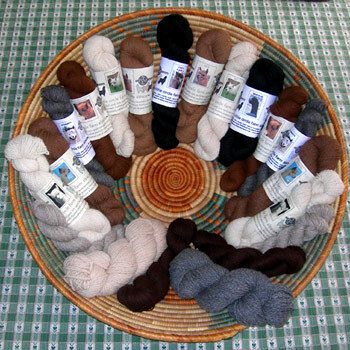 The perfect source for Colorado alpacas. We hope you enjoy your cyberspace visit. If you like what you see and learn here, we hope you will visit our real Colorado alpaca farm and our lovely alpacas in person. Until then, we invite you to come on in to our "Farm on the Web." We'd like to tell you a little about how we came to fall in love with alpacas, and then we'd like to show you our alpaca family. We've been on our five-acre farm since 1998, moving here to pursue our long held dream of country living and establishing an organic farm and retreat center. As we began working the gardens, we wondered what animals, other than our dogs, Alex and LuLu, would join us in our little country paradise, which included a barn, several corrals, and three and a half acres of grass pasture. We investigated several livestock options, but nothing clicked, so we worked our gardens while our barn sat empty. Then, in July of 2000, while vacationing in Pagosa Springs, Colorado, we came across a flyer that suggested a free tour of a nearby alpaca ranch. Our curiosity was piqued, and off we went to investigate. Within minutes of seeing these lovely creatures, we were smitten--we knew immediately that we had found our farm animal. And so began our Great Alpaca Adventure! Research and farm visits started as soon as we arrived home. Our investigation took on the look of cramming for finals, but we were having fun. We joined the national organization, Alpaca Owners and Breeders Association (AOBA), and our regional affiliate, Alpaca Breeders of the Rockies (ABR). We started studying everything we could find on alpacas--alpaca breeding, alpaca genetics, alpaca history, alpaca husbandry, alpaca fiber--and we attended alpaca events and farms and asked a million questions. We especially liked the idea of harvesting fiber and producing beautiful end products in a livestock business that didn't involve sacrificing the animal. After months of research, we purchased our first alpacas in October 2000, and though our farm had been set up for horses, we worked wildly to make adjustments for our herd of Huacaya alpacas. 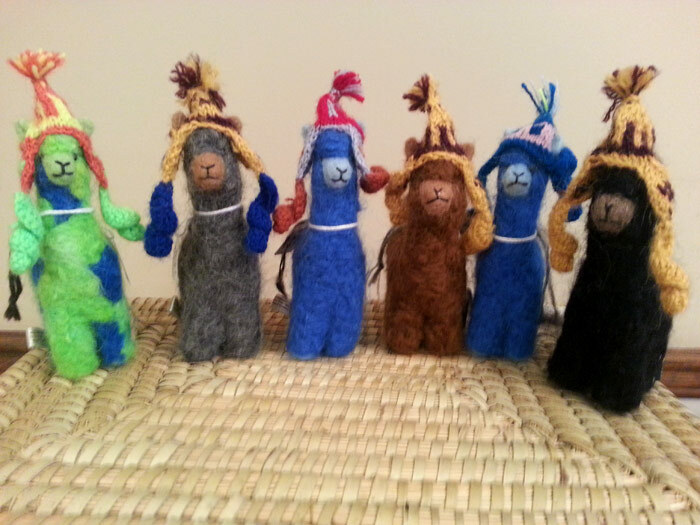 Our first nine alpacas, all purchased from Colorado farms, arrived a week before Christmas. Over the next six months, we continued bloodline research, and after attending a halter and fleece judges' training clinic, several alpaca shows, and more farms, we added five more animals selected from farms across the country. Now, our herd represents over twenty excellent huacaya bloodlines of Peruvian, Chilean, and Bolivian descent. It has been a busy and exciting time. We love the great adventure we're on, and we love our beautiful alpacas--they are a blessing and joy in our lives. They've taught us a lot and we're ready to learn more. Our organic vegetable garden didn't get planted this year, but do we ever have great compost for our existing gardens! Our retreat center may be a few more years in coming to fruition, but friends and family have found great fun and relaxation when they've visited and gotten to know our "boys and girls" here at little circle farm alpacas. So come on in, click a button or two and see why we love alpacas, but beware--they just might steal your heart too. To arrange a visit, contact us. We look forward to meeting you. ​is now on the farm! 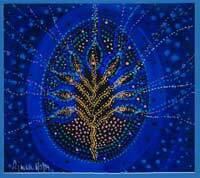 ​Robin is offering prints and cards of her original artwork: paintings, drawings, mixed media, and photographs for purchase through the Little Circle Farm Store. Shop online or visit the farm! Plan a visit or shop online.